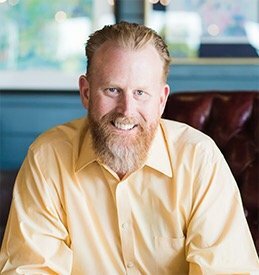 Kurt W. Dreger has devoted his career to promoting, enhancing and protecting worker health and safety, as an industrial hygienist, an employee safety and health specialist, and as an attorney representing and upholding the rights of workers in the San Francisco Bay Area. At Dreger Law PC, you will find a comprehensive employment law practice dedicated to asserting and defending worker rights whenever they are violated, from disability discrimination and sexual harassment to unpaid overtime wages or retaliation for filing a complaint or blowing the whistle on unsafe workplaces. As a worker, you are the backbone of your company and the strength behind the country’s economy. Kurt W. Dreger is here to stand up for you, be your voice, and make sure you are treated fairly in all aspects of your employment. If you have been wrongfully terminated, or if you were forced to quit because of intolerable conditions at work, attorney Kurt Dreger will take the necessary action to right that wrong, whether you are seeking reinstatement with back pay or money damages for the harm done to you. His goal is to make you whole again so you can move forward in your job, your career and your life without any lingering effects of an unlawful employment action. With 30 years of experience protecting workers’ occupational safety and health, Kurt Dreger has demonstrated a steadfast commitment to worker safety. 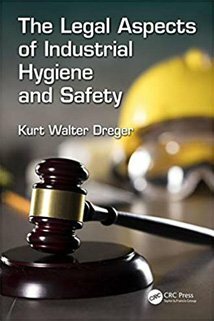 As an employment law attorney, Mr. Dreger has a special insight into the practical and legal aspects of occupational hygiene and safety. With certification from the American Board of Industrial Hygiene, Mr. Dreger has demonstrated specialized knowledge and skill in the identification of workplace hazards and their solutions. If an occupational illness or injury kept you from doing your job and led to your termination, Dreger Law PC can help establish a strong case that you were illegally and wrongfully terminated. Kurt Dreger is here for you when you find yourself in need of legal help. Dreger Law PC provides a number of different fee options for clients, including hourly rates, flat rates and contingency fee arrangements where you only pay a fee based on any recovery obtained for you. Kurt Dreger offers a free initial consultation by phone, email or in person in order to understand your needs and let you know how he can help. Weekend and evening meetings are available. Call Dreger Law PC at 510-914-5334 for more information or to schedule your consultation with a skilled, knowledgeable and dedicated San Francisco employment law attorney. Need to talk to an attorney about a California employment law matter? Fill out the form below and we will be in touch to schedule your free consultation with a knowledgeable and dedicated California employment lawyer. By submitting this form, I acknowledge that contacting Dreger Law PC through this website does not create an attorney-client relationship, and information I send is not protected by attorney-client privilege.